Dynamic Health Strategies’ (DHS) HealthSpective® is a cloud-based solution developed exclusively to help self-insured employers lower their healthcare costs through advanced prescriptive analytics. HealthSpective is a hosted data warehouse and analytics system using a state-of-the-art methodology of integration, query, and predictive capabilities unique to the healthcare population health management field. The HealthSpective cloud-based solution provides the transparency, intelligence, perspective and prognostic capabilities a company needs to understand and control employee healthcare benefit costs and optimize employee wellness and productivity. Mr. Pritchett has been in a leadership role in the founding or expansion of a half dozen high-tech companies in the healthcare, oil & gas and aerospace industries. His experience of more than 30 years is in strategic planning, marketing, sales and business/operational management including raising capital and conducting mergers and acquisitions on both the buy and sell side. Beginning in 1998, he served as Chairman and CEO of Petris Technology, a private company backed by individual and Private Equity investors, until the company was sold in August 2012 to Halliburton. Prior to Petris, positions included sales and marketing at IBM, Insource Management Group and DuPont Medical Information Systems. 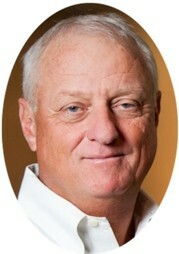 He served as the Chairman and CEO of Trinity Computing Systems and President at Atec. CEOCFO: Mr. Pritchett, would you tell us about Dynamic Health Strategies? CEOCFO: How does it work? What is the implementation and how do you actually measure what you need to come up with the recommendation? Mr. Pritchett: The implementation is quite straightforward. The company contracts with us and, in so doing, authorizes us to communicate with the multiple information providers it uses to process its claims and related data. The company, as the benefits provider, is entitled to all the claims information processed by its third-party providers. This data usually includes medical claims, pharmacy claims, any wellness systems they have in place, lab results, biometric data, member enrollment and eligibility information, worker’s comp information and any other demographics the company can provide. We load all of this information into a person-centric data warehouse, which allows us to access intelligence on every employee’s health- related activity. This is step one, building a database from these many different sources. Step two, we run analytics against the collected data. These analytics include more than 300 different algorithms that DHS has developed using literature and medical knowledge to identify areas in this company’s experience that differ from general population statistics for a similar population. For each client, we create benchmark data that allows us to compare this specific population’s experience to an expected rate based on the company’s key statistics such as age, gender and racial mix, turnover rate, industry and location. For example, if an employee population has a higher-than-average rate of diabetes compared to the expected rate, these algorithms would expose this finding. It would also identify (to authorized personnel) individuals diagnosed with diabetes who are not getting medical prescriptions filled regularly, having annual eye exams, etc. Using this information, the system recommends ways to engage those who are not taking prescribed measures to manage their diabetes. Furthermore, we’re able to determine for the client the cost involved to implement a recommended program and calculate a return on investment. CEOCFO: Is this accomplished electronically with programs you have developed, or is there a human element in making assessments as well? Mr. Pritchett: It’s a combination of medical knowledge and services built into the software; the analytics system is the nucleus of the HealthSpective solution. We constantly update the algorithms to adapt to the literature and we offer a high level of quality assurance provided by our staff of health management experts and data analytics specialists. Our hosted data warehouse is another important feature, and as new claims data becomes available each month, we update the client’s database. CEOCFO: What is the key to keeping up with all of the information as there are new ideas, studies and concepts every day? Mr. Pritchett: The changes you are referring to is precisely why a company needs to get a handle on its employee health data- medicine and disease does not stand still, or does your employee population. A company needs an easy way to stay on top of this. Our team of population health scientists update the algorithms at least once a year and whenever necessary to address any changes that are relevant to the algorithms or new diseases and measures that are developed. The research comes from a wide variety of public sources such as the National Committee for Quality Assurance, the Agency for Health Research and Quality, the Centers for Disease Controls and Prevention, etc. We do the work to implement the rules into our algorithms. The frequency with which our algorithms are updated is one of the biggest values that DHS provides. CEOCFO: Do you follow up? Do you know if most of the companies that use your service actually follow through and make changes? Mr. Pritchett: The program has been on the market and in our early customers for just a couple of years, early results are quite promising. Each company selects the programs they want to implement and some programs take longer than others to deliver significant results, but the system has delivered some very substantial savings opportunities for our clients. CEOCFO: What are some of the common areas that you found a company should deal with? What might be something that is a little more surprising in your findings? Mr. Pritchett: A company spends an average of $10,000 a year per employee on healthcare. The huge volumes of claims transactions often result in costly errors, such as paying claims more than once or paying claims to in-eligible members. Then there’s misuse of services, people returning for hospital stays or doctor visits that aren’t necessary or going to the emergency room when a doctor’s office visit would have sufficed. Those are typical healthcare cost drivers that DHS can identify and, in turn, help the client control. Another example is employees who have conditions such as hypertension that can be managed with medication, but are failing to get their prescriptions filled on a regular basis. Applying data from medical and pharmacy claims, the system will identify those individuals who have been prescribed hypertensive medicine and indicate whether they are having their prescriptions filled. The client could then produce a list of employees who need to be reminded, educated or encouraged to take their medications. The company could choose several strategies to deal with this, for example if employee cost is the issue, an employer could choose to waive the deductible to get them back on their meds, helping them avoid heart attacks and strokes. When you get into the details of the data, there are hundreds of ways to manage costs and improve care and many of them are quite easy to do. CEOCFO: What is the competitive landscape? Are many companies offering something similar, perhaps not with the same depth and quality? Mr. Pritchett: Data warehouses have been around for years, providing what I would describe as reporting or data. We go beyond reporting by providing information and interpretation of the data through diagnostic and prescriptive analytics using a methodology of integration, query, and predictive capabilities unique to the healthcare analytics industry. We also have the most extensive and in-depth data model in the industry today. CEOCFO: When you are speaking with a prospective client, do they understand the difference? Do they get what you do easily? CEOCFO: How do you reach out to prospective clients? Mr. Pritchett: We use two different channels. One is through third-party or indirect channels, such as benefit consulting firms or the many regional and national consulting firms that advise self-insured companies on how to manage healthcare costs. Some have included our services in their client contracts and others have referred us to their clients who they know can benefit from what we offer. We also work with some leading software companies that are selling to HR departments within organizations, and they will include our capability in their product offering as an option. We’ve just started our direct sales efforts, which will include exhibiting at trade shows, publishing papers and speaking at events. We have a strong online presence, including webinar presentations. Because this is a new field, we are focused on bringing a high level of educational value to our presentations. Rather than talk about our product, our webinars discuss the concepts that help the prospective client understand the issues we can solve and value the product brings, like how to do benchmarking properly. The legal issues. The technical advantages. We are positioning DHS to be the thought leader and educator in this new concept of advanced healthcare analytics. CEOCFO: How do you get the concept to standout? Mr. Pritchett: Our biggest competitive advantage is our ability to give each client a ranked order list of ideas that will improve their specific population’s health. We rank them by several methods including return on investment and it is scientifically based on their specific data. This capability is unique to the industry. A client might tell us they want a wellness program because other companies have one and their employees want one too. Although a wellness program might be a good thing, we can determine if that is the one thing that would give them the highest rate of return, affect the greatest number of employees or save their company the most money. We bring order to a process that is already in place. That is what we push and what we think makes us unique. By continuously monitoring the initiatives a company implements through regular data updates, the company can see what’s working and adjust according to what the updated data presents. CEOCFO: How is business these days? Mr. Pritchett: We launched our direct sales effort in January and it’s an exciting time of growth and planning. We are ramping up, seeing exciting results, so it is fun. CEOCFO: Why is Dynamic Health Strategies a company to watch? Mr. Pritchett: U.S. companies are spending huge sums of money on healthcare, with costs increasing eight to ten percent each year. Failure to take proactive measures to curtail these costs will result in even larger increases in years to come. Companies that are serious about employee health and wellness and want to curtail healthcare costs without sacrificing employee care will have to take a different approach by bringing tested analytics into the equation. DHS has the advanced technology that offers viable solutions for managing healthcare costs.